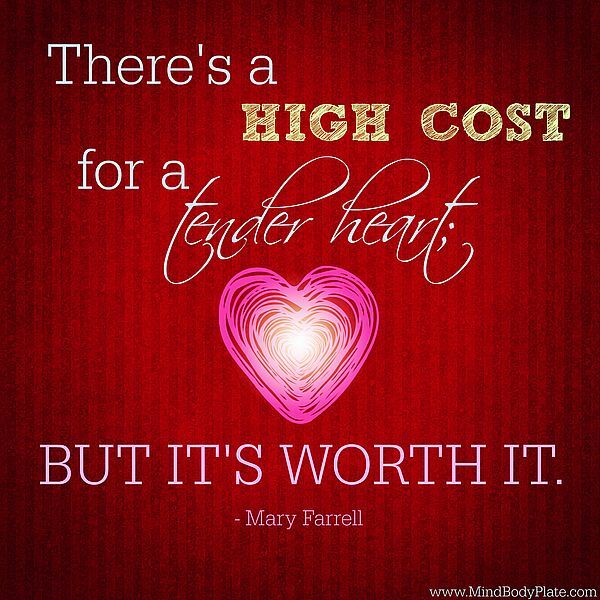 How hard is it to have a tender heart these days? That’s right, hard and here’s why. “You should know this, Timothy, that in the last days there will be very difficult times. For people will love only themselves and their money. They will be boastful and proud, scoffing at God, disobedient to their parents, and ungrateful. They will consider nothing sacred. They will be unloving and unforgiving; they will slander others and have no self-control. They will be cruel and hate what is good. They will betray their friends, be reckless, be puffed up with pride, and love pleasure rather than God. They will act religious, but they will reject the power that could make them godly. Stay away from people like that!” (2 Timothy 3:1–5, NLT) And then there are reasons that are unique to your own life. A quote from the Book of James lends itself for timely advice for us THP’s. “…you don’t have what you want because you don’t ask God for it. And even when you ask, you don’t get it because your motives are all wrong—you want only what will give you pleasure.” (James 4:2–3, NLT) James’ advice is simply, ask not for your own benefit but for the benefit of others and you will receive. From one THP to another – May the Spirit of Tenderheartedness as illustrated in the life and ministry of Jesus bless you each and every moment of not only today but every day.